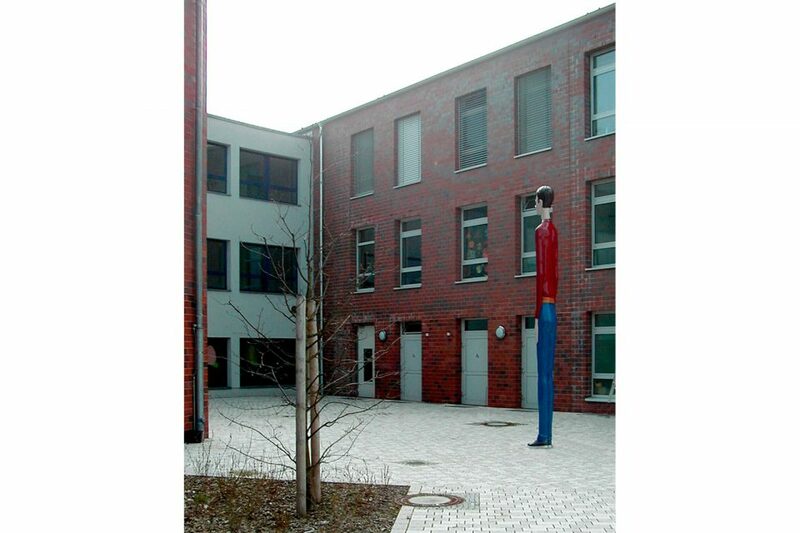 With artistic interventions, this suggestion connects two sites of the primary school: first, the foyer-like rotunda in the first upper storey, and second (Spiegelnde Wand, Reflecting Wall), the schoolyard (Langer Knabe, Tall Boy). The walls of the round foyer on the first upper storey are completely sheathed in mirroring acrylic glass, from the floor to the ceiling. 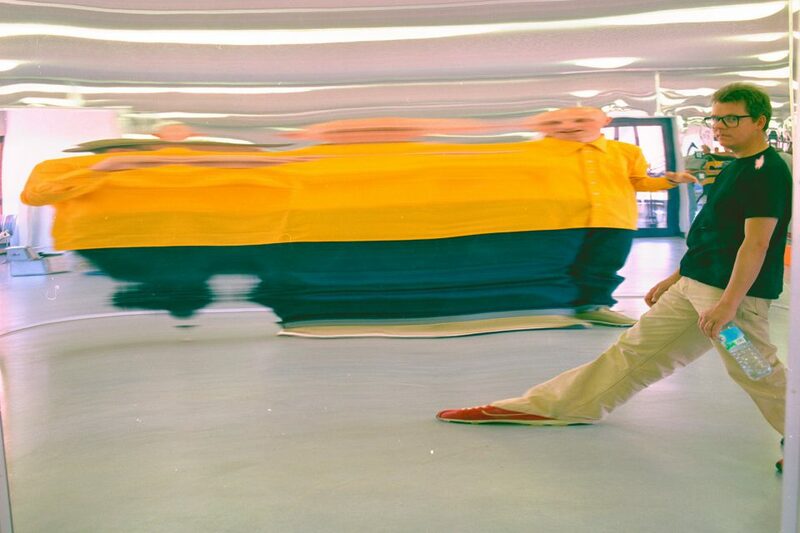 The curvature of the room produces distortions that change as one walks through the room. 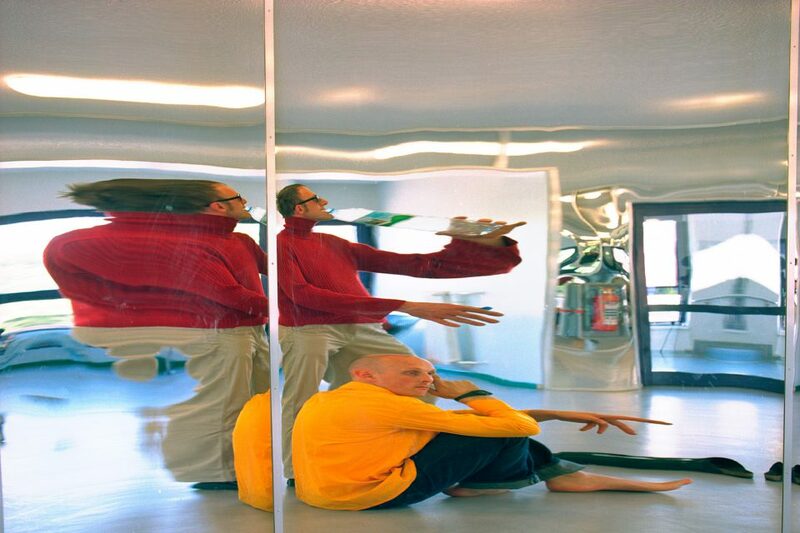 When the viewer approaches the mirroring wall, he sees his image squashed down and broadened, as in a hall of mirrors. In the mirrored rotunda, the existing architecture is used as the vehicle for an optical illusion. The constructed room is short-circuited with the viewer, since he is reflected like a core in the space surrounding him. Walking through the room and approaching the walls changes the relationship between person, room, and surface. Due to its curved shape, the architecture reflects the viewer in bizarre, absurd, comical, and extremely varied images. A figure stands on a central spot of the recess courtyard, which is shaped like a wedge of cake. 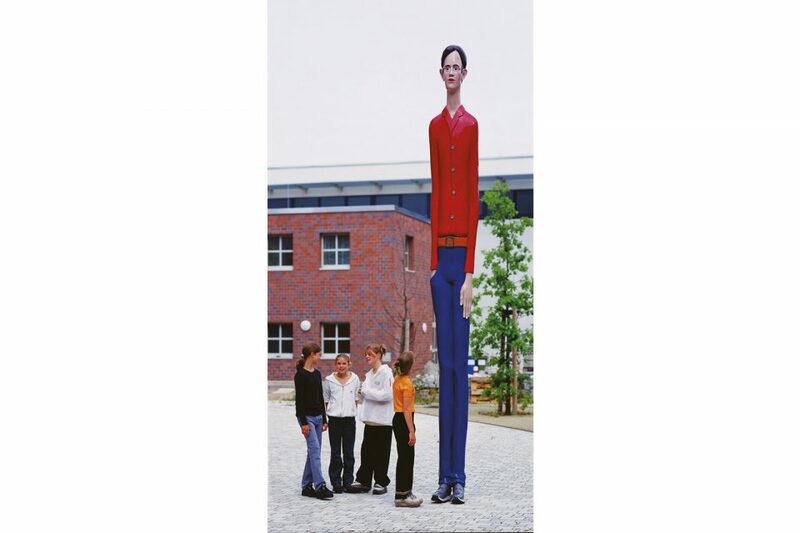 The figure depicts a person of normal build who has been extended to a height of 4.5 meters, making him seem extremely thin and stretched. Its unusual stature makes it visible from afar and lends it emblematic character. The aspect of stretching and the suspension of scale that is experienced when walking through the foyer (see Reflecting Wall) is also the central aspect of the figure in the schoolyard. The vertical stretching of the figure corresponds with the opposite visual effect of the reflection in the rotunda, but simultaneously also permits the figure to establish an axis of view into the foyer on the first upper storey. Vision and the individual glance, central aspects of art, are at the center of the design. The eye construes spaces and connections whose starting point lies in the architecture and that use the latter to achieve surprising new ways of seeing.